The first blog dedicated solely to teaching self-insured employers, benefits consultants and health plans how to manage pharmacy benefits. There is no question that pharmacy benefit managers provide a valuable service. One that when properly implemented saves lives, reduces costs, increases employee productivity, and improves patient lifestyles. However, there are plenty of opportunities for pharmacy benefit managers to exploit loopholes in the supply chain and increase profits through arbitrage. In economics and finance, arbitrage is the practice of taking advantage of a price difference between two or more markets: striking a combination of matching deals that capitalize upon the imbalance, the profit being the difference between the market prices. When used by academics, an arbitrage is a transaction that involves no negative cash flow at any probabilistic or temporal state and a positive cash flow in at least one state; in simple terms, it is the possibility of a risk-free profit at zero cost. 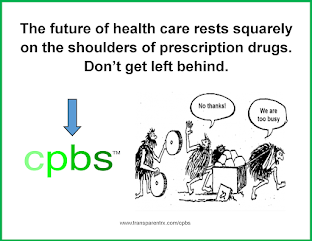 Traditional PBMs like Medco, CVS/Caremark and ESI take advantage of retail, mail-order and rebate price differences to reap excessive profits. I say excessive because much of these profits should go back to payors in the form of lower drug costs. I don't care what you've been told or by whom; if your PBM is unwilling to accept a fiduciary role and commit to it contractually then it is in all likelihood Hiding Cash Flows via arbitrage. I'll dive into this subject, with more detail, in later posts. In my opinion, the proposed merger of Medco and ESI will primarily benefit ESI and Medco shareholders. Sure ESI will have greater pricing power, but do you really believe for one second that these savings will be passed down to payors particularly small to medium-sized businesses? It is a public corporation with two goals: survival and shareholder return! I am not a Big Three (Medco, Caremark and ESI) hater. Don't get it twisted. I'm a capitalist at heart and strongly believe in every company's right to grow revenues, but at what cost? Simply put, I am telling you from experience what I've seen (see) as a former employee of Eli Lilly and Company and now the founder of TransparentRx, LLC and a mail-order pharmacy. Most pharmacies, PBMs, health insurers, and employers will in the long-run be negatively impacted by this merger if it is approved by the FTC. 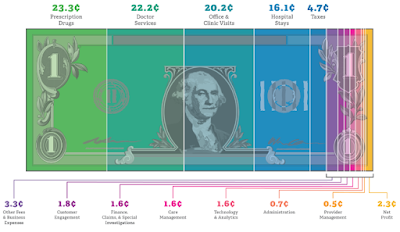 Who is getting rich from the price of prescription drugs? Copyright © 2017 TransparenRx | 702.990.3559. Awesome Inc. theme. Theme images by hdoddema. Powered by Blogger.